MEMBER MEETING: Contract campaign check-in, 3:30-5pm, 2/20, @SCE, 3rd floor, Cardinal Rm. RSVP to UICUFJeff@gmail.com. Faculty and Administration negotiators had another round of meaningful movement on key issues in bargaining this Tuesday. Coming from half a year of gridlock, this is actually what we think bargaining should look like. While there still is some distance to cover, agreements to protect faculty workloads, mitigate punitive uses of our flawed student evaluation system, and raise the floor for our lowest paid faculty may be within reach. Meanwhile, Admin offered once again its same salary proposal, which is below inflation. They also refused to consider mitigating increases should the state raise healthcare costs. Their justification: we don’t have the money to provide robust raises and hire new tenure-lines. But that rhetoric doesn’t match their bargaining positions because they also have dismissed our article specifying the hiring of new tenure-track faculty. The message is pretty clear: despite plans to up enrollment by 15%, and to find $1 BILLION DOLLARS to pay for new facilities by increasing fees on students, they won’t commit to growing faculty salaries or numbers. Admin also moved the goalpost on academic freedom. For months, they’ve claimed the protections we’ve sought would infringe on the role of the Senate. After ensuring our proposals preserve and strengthen the Senate’s voice, however, we are now being told these protections infringe on the Board’s discretion to fire faculty. This begs the question of what academic freedom really means at UIC. Clearly we have a ways to go before finalizing this contract. 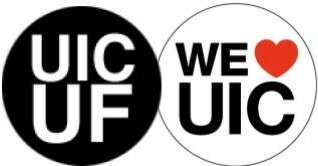 UICUF has scheduled a critical membership meeting to discuss the progress (or lack thereof) in contract negotiations. We urge faculty to attend, as important decisions on the direction of negotiations and the contract campaign will be considered. The meeting will be held from 3:30-5pm, Wednesday, February 20th, at Student Center East, third floor, in the Cardinal Room.